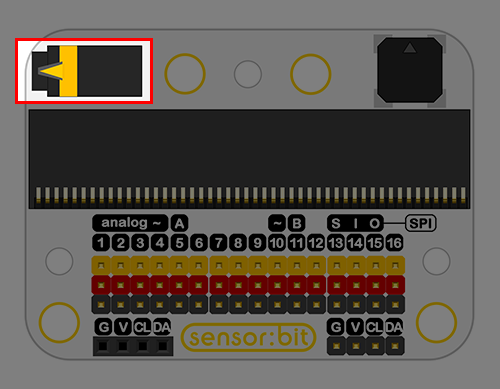 Sensor:bit is a breakout board based on micro:bit. 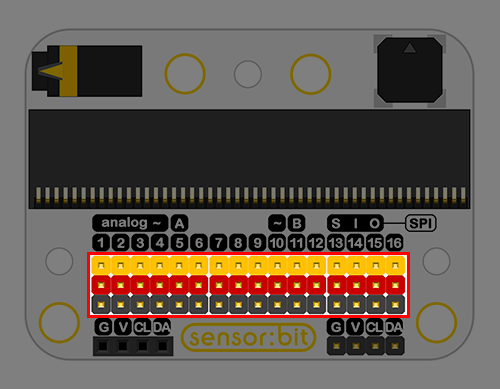 It has extended all available IO ports on micro:bit, and lead out them in the form of GVS. 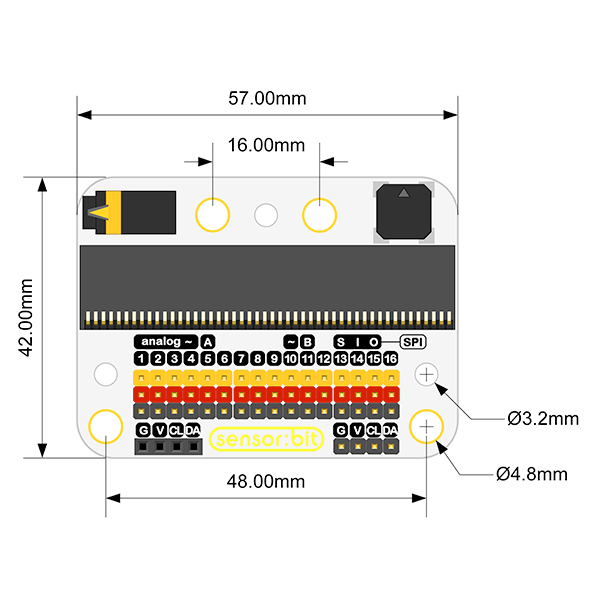 With this board, we can extend various 3V electric brick modules like LED light, photocell, etc.. On the board, it has integrated a buzzer and an audio jack, which allows us to hear music from the buzzer or with our headphone. 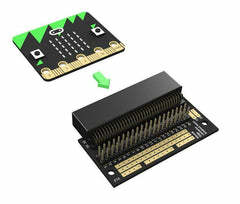 Extend most IO ports on micro:bit by GVS pins. Independently lead out IIC interface. 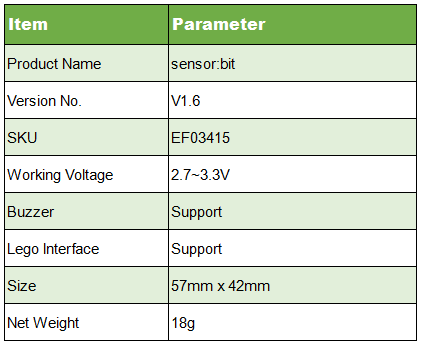 Enable to plug in IIC components like OLED, BME280, etc.. Integrated a buzzer and an audio jack. Mark out each IO port with silk printing. The headphone is controlled by P0 port. Plug in your headphone, the buzzer will disconnect automatically. 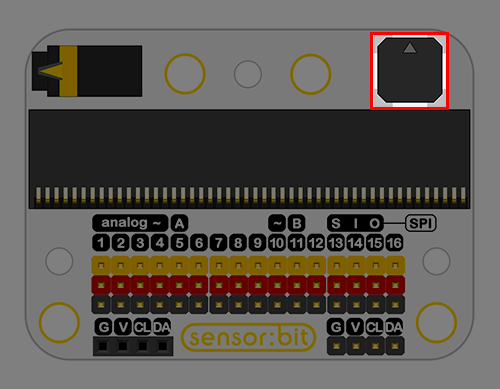 The buzzer is controlled by P0 port. Plug in your headphone, the buzzer will disconnect automatically. This is a standard GVS interface with 16 channels. 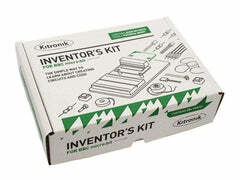 It can extend 3V electric brick module. 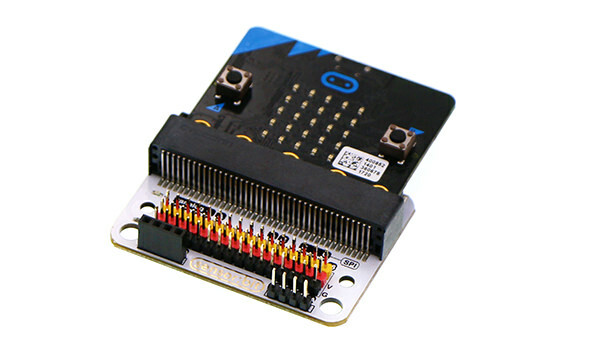 This is a group of I2C female header, which can connect with OLED module directly. This is a group of I2C male header. 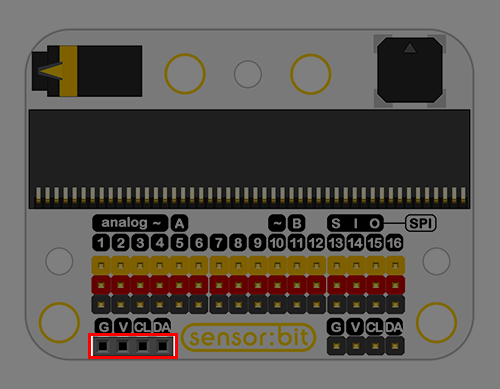 Plug your micro:bit into sensor:bit. 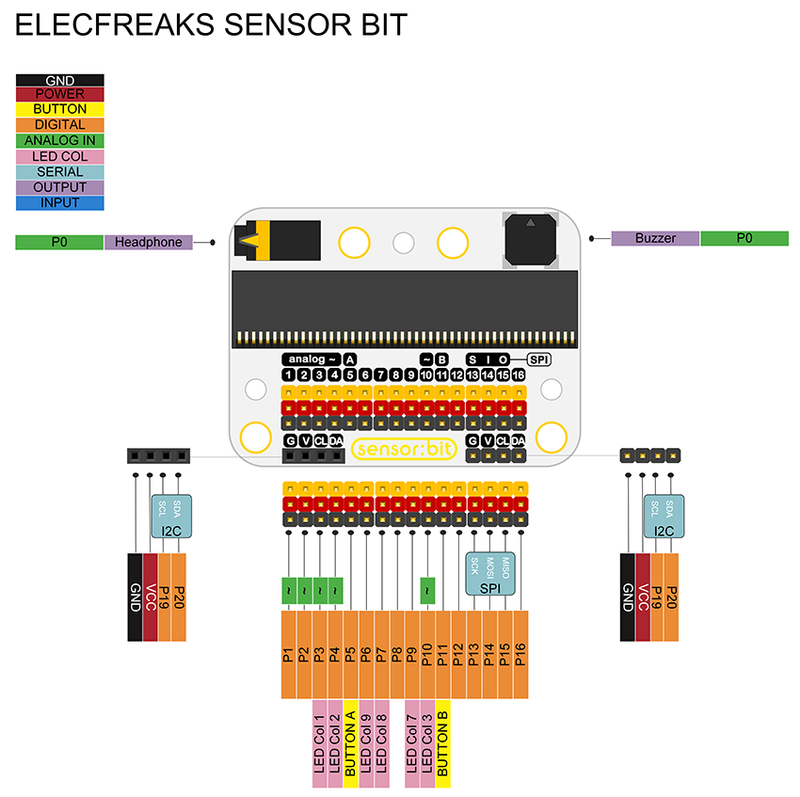 Navigate to the programming interface of Makecode online editor. 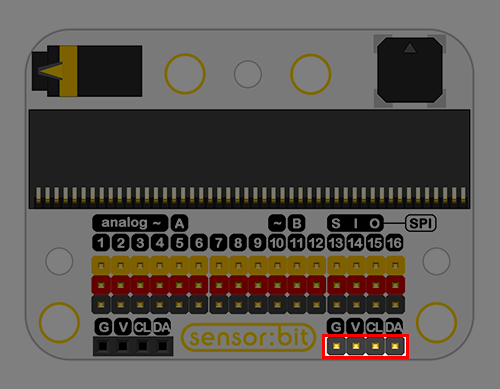 Write your code to make the buzzer on sensor:bit play music. 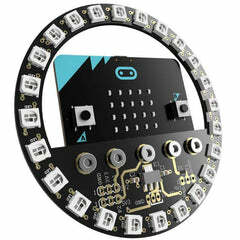 Press button A on micro:bit, the buzzer starts to play music. Plug in your headphone to sensor:bit, the buzzer stops playing music, and you can hear the music through your headphone.